Hi, is it possible to have colored circles in one day and when i press on that day to show the details below it like in the image attached ? As of now, we don’t have support to display the Appointments of the specific day in MonthView of Schedule, as per the current implementation single blue notation will be displayed in the cell to indicate the appointment availability in the specific day of Month. We have already planned to implement this feature and logged feature report the same, we will implement this feature in any of our upcoming Volume release. Could you please share more details, how you want to display when more number of appointments available on the same day (example 10 or more), we will check on it and consider while implementing the same. Please let us know if you have any on this. I have the same question with Albert. Is it possible to have colored circles in one day? Whether the feature has been implemented? Can it only show the top three of the schedule colors if the number is more than three? We have provided support in displaying appointments through indicators. 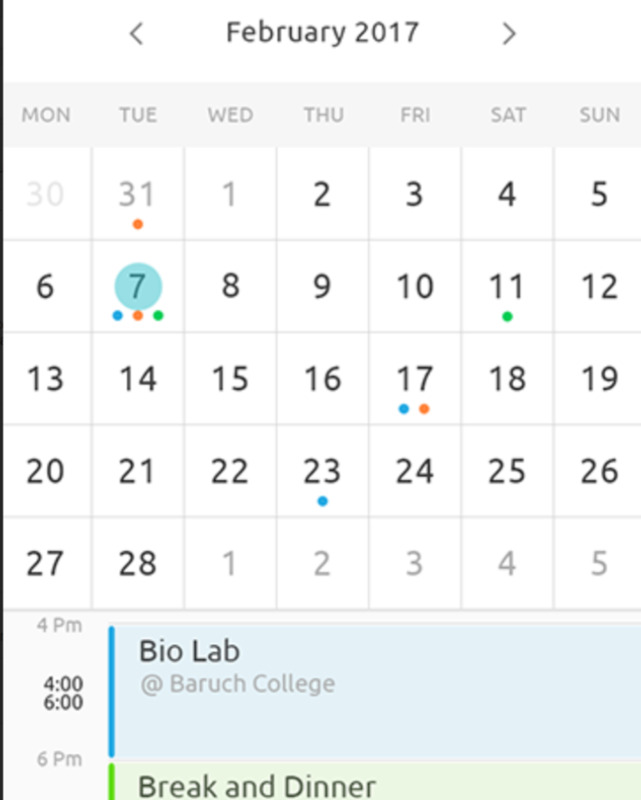 Also we have customization option for appointment indicator count in our latest Volume 4 release. Indicators will render based on appointment count and cell available width, By default, top three appointments will be shown in the UI. You can download our Essential Studio Volume 4, 2017 (Version 15.4.0.17) under the following link. If the provided solution doesn’t meet your requirement, please revert us with more information so that we could analyze on it and provide you with the better solution. Is there meanwhile a possibility to show more than 6 indicators? It would be great to use all available space in the cell. We have checked your query with “Is there meanwhile a possibility to show more than 6 indicators?” and your requirement of customizimg the default appearance of month cell can be achieved by using MonthCellTemplate property of MonthViewSettings in schedule control. Please find the below UG links for more details about customizing the month cell in schedule control.